All of our ambulances are equipped to provide the highest level of prehospital care. On board equipment include: ECG monitor/manual defibrillator, advanced airway equipment, oxygen, IV's, various life saving medications, splints, cervical collars, back boards, stair chair, etc. All transport units are four-wheel drive. generally the first out unit for emergency medical calls. This is our second out ALS transport unit. Although smaller than 403, it's ideal for responses to areas with narrow roadways. Rescue 402 is currently the oldest unit and serves as an alternative backup to 403 and 401, above. This unit will be replaced as funding becomes available. Our Heavy Rescue vehicles provide specialized equipment for technical rescue situations such as motor vehicle accidents, vehicle extrication, building collapses, and confined space rescues. Both rescue units include the Jaws of life, generators, winches, hi-lift jacks, cutting torches, circular saws, reciprocating saws, and wood cribbing for vehicle stabilization. This is our technical rescue unit. This unit is dispatched to all of our searches, high angle rescues, and water rescues. 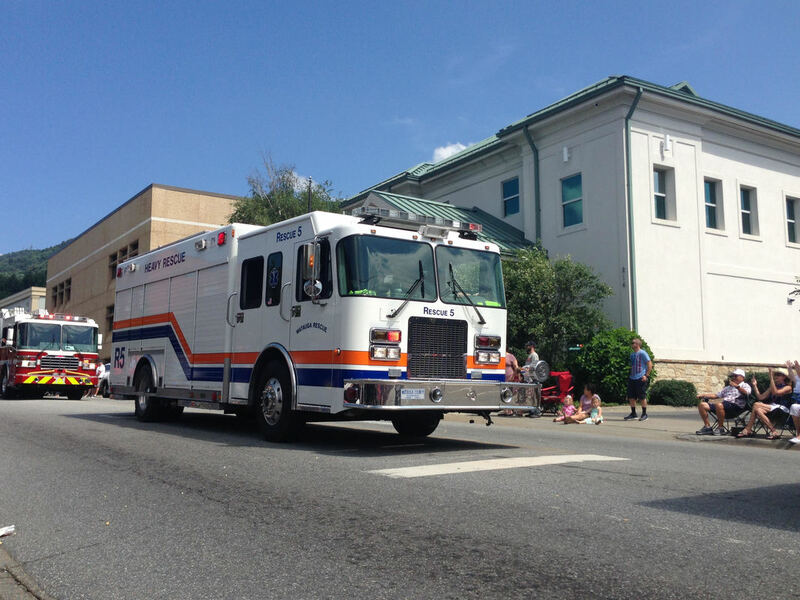 Rescue 8 is our quick response vehicle (QRV). It is capable of transporting up to six personnel and is equipped with an automated external defibrillator (AED) and Advanced Life Support jump bag. 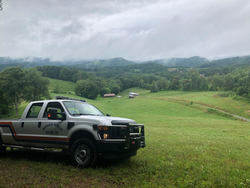 This Polaris Ranger is utilized during off road emergencies, searches, and special public events such as Appalachian State University football games in order to rapidly respond and transport patients. State Medical Assistance Team III (SMAT III), is county-based and often is the first to respond to an event. These teams are pre-hospital disaster teams that are highly mobile and respond to the mass disaster and decontamination needs of its County and region. Each team houses a standardized mobile package that includes the basic equipment needed for a response.